Hot lunches will be starting next week! Please see the documents below for information about hot lunches, and about setting up an account at School Cash Online. Trustees met at Dryden High School on Tuesday, November 8, for a regular board meeting. The November “Students Come First” presentation titled ‘Skills for Life’ was received by Trustees. Dryden High School (DHS) teachers Paul and Dave Darling, accompanied by DHS students, shared a glimpse into technology programs offered at DHS. The classes offered through DHS’s technology department are vast, including transportation, communications, construction and manufacturing technology, computer sciences and robotics, dual credits (where students can earn both a high school and college credit) in welding and basic hand tools, and an integrated trades bundle credit program. Students at the presentation shared what the technology courses mean to them, telling Trustees that the hands on learning offered through the tech classes reduces stress, provides creative outlets, builds confidence, and increases engagement while providing an opportunity to explore new experiences and find out what they are interested in, all while having some fun during the school day. A group of DHS staff also made a presentation to Trustees, titled ‘A Story of our Successful Graduates and Leaders of Tomorrow’. DHS teachers Jason Stevenson (Languages Department Head, English), Kurt Schmidt (Science Department Head, Physics, Outdoor Education), Blair Roberts (Senior Biology and Chemistry, Environmental Science), Nicole Moline (Senior English, Anthropology) and Joanna Ulisse-Caren (Senior Math - Calculus and Vectors, Advanced Functions, Data Management) shared some of the strategies they use in their classrooms as they work to prepare their students for their careers of choice. All agreed on the importance of challenging their students through inquiry based strategies to support them in becoming resilient, self-sufficient learners who can think critically and form out of the box solutions to any challenges they may face in the future. Following the teachers presentation, videos of DHS alumni were shared where former students spoke about how their time at DHS prepared them for the careers and post secondary studies they have chosen. Trustees heard many of the students not only felt they were well prepared for their programs, but that they watched their classmates struggle and were grateful to the staff at DHS for going above and beyond to make sure they had the tools they needed to succeed. The students spoke about specific staff in the building who had impacts on them, often identifying more than one teacher or staff member, and extended their appreciation and thanks to their former teachers for their support, which often continued past graduation. Michael Boos, KPDSB principal currently on secondment with Nishnawbe Aski Nation (NAN), presented the NAN/KPDSB partnership update. In 2013, discussions began between NAN and the KPDSB to look at new ways of support northern children. Through those discussions, a partnership was formed to develop and implement a pilot program to support Frist Nation schools within the NAN territory though leadership development, while working collaboratively to help design and promote strategies to equip First Nation students with the self-confidence and educational opportunities to be successful in reaching their education goals. Beginning steps of the pilot program include, but are not limited to, an assessment of what is needed, on the ground assistance based on community needs, support for teacher evaluations, retention strategies, transitions strategies, and principal mentorship. Participation by NAN communities is voluntary, with the following communities participating in the initial pilot program as of November 8, 2016: Fort Severn First Nation, North Spirit Lake First Nation, Webequie First Nation, Marten Falls First Nation, Long Lake #58 First Nation, and Mattagami First Nation. Each First Nation will work directly with Boos in developing a plan to meet their needs. The Regional School Year Calendar Committee is once again looking for input from families and staff around start/end dates for the 2017-2018 school year. Please click on the links above to fill out the quick survey. The survey will be open until December 9, 2016. 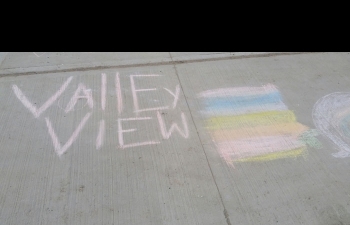 Should you have any questions, please contact Sheena Valley, Communications Officer, at sheena.valley@kpdsb.on.ca. The Keewatin-Patricia District School Board (KPDSB) is launching a new platform for receiving applications for positions with the organization. Apply To Education provides a paperless application system that streamlines the recruitment process for applicants by allowing them to fill out one application online and upload all of their supporting documents to complete their portfolio. Beginning today, when individuals access www.kpdsb.on.ca/pages/view/employment-opportunities they will be directed to https://kpdsb.simplication.com/ to create a profile and apply for jobs. Additionally, job seekers can request to receive e-mail alerts when a new job is advertised for the Board. There is no cost to applicants to utilize this service. The use of Apply To Education will replace previous procedures for applying for jobs and being hired within the KPDSB. This platform will also provide additional services within the Board, including management of absences for staff as well as internal job postings. Jocelyn Bullock, Human Resources Manager stated “We are excited to move forward with this project and look forward to the new working relationship with Apply to Education to improve the overall experiences of potential future employees and current staff”. 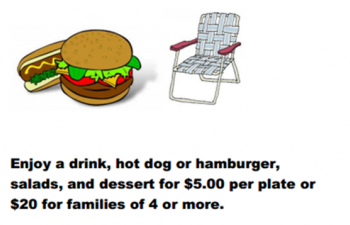 School Council family BBQ is coming up on June 14th. Cost is $5 per person, or $20 per family, payable through https://kpdsb.schoolcashonline.com/ until 4:00 p.m. this Thursday, June 9th. Hope to see you there!